The first North Munster Regional Auction of 2014 was held today in the Limerick Strand Hotel and proved to be a huge success with 77% sold at auction & 15% immediately after auction to the highest bidder giving a 92% success rate. In summary there were 15 Lots, 2 of which had to be withdrawn prior to auction, 10 properties were sold at auction & 2 sold to the highest bidder immediately after. One property remains unsold but we are presently negotiating with an attendee at the auction. The total capital value of the Lots was €746,000, the highlight of the auction were 4 High Street, Caherconlish which achieved 97% over its reserve & 56 Caislean na hAbhainn which achieved 25% over their minimum reserves. According to Michael O'Connor of REA O'Connor Murphy " We are delighted with our results today. 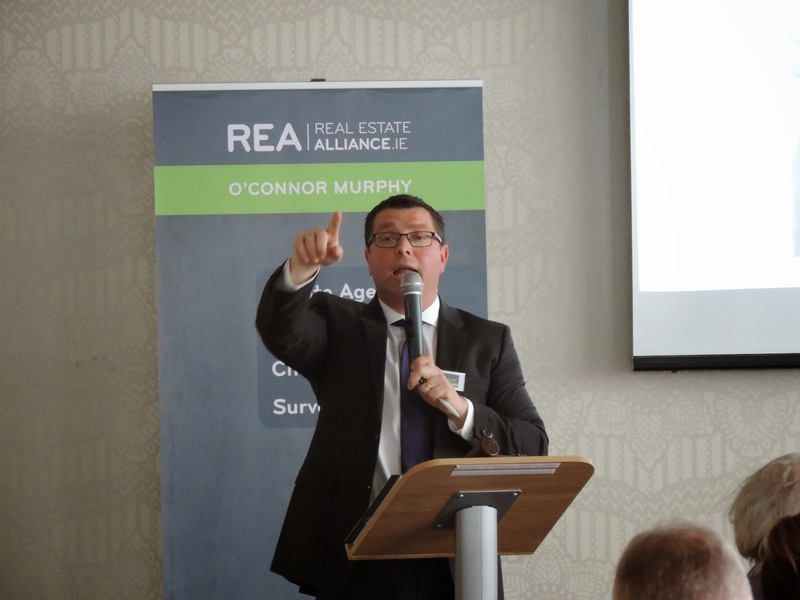 The large attendance proves that there is once again an appetite in the North Munster region for property investments. We look forward to our next North Munster Auction in June of this year to be held again in the Limerick Strand Hotel".